Since we last had the frozen frown of Max Payne slow-mo shooting his way through New York’s criminal underworld a lot has changed and many more of Rockstar’s memorable protagonists have come our way. We have moved to a new generation of consoles and have got to grips with the likes Grand Theft Auto IV’s cynical but sympathetic Niko Bellic, the true grit of Red Dead Redemption’s John Marston and most recently but unfortunately less memorably, the stern and straight-laced story of L.A Noire’s Cole Phelps – but now Max is back and he seems ready reclaim the mantle of our favourite dishevelled and down-on-his-luck character in Max Payne 3, finally released after a stutter at the starting blocks on May 18th. In what has nearly been 10 years since Max Payne 2: The Fall of Max Payne was released on the last generation of consoles, a lot more has changed other than Rockstar’s repertoire of movie-like protagonists, as whether we like it or not, what we have come to expect as gamers has evolved and the technology used to develop these blockbusters certainly has done so. 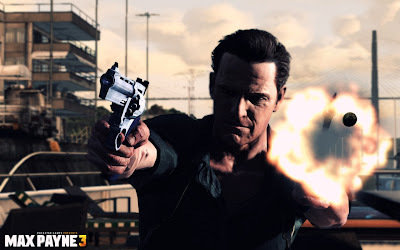 Max Payne might be an old dog, but he’s going to have to learn some new tricks if Max Payne 3 is going to live up to the expectations of fans of old and newcomers to the series alike. Luckily, the first thing that is strikingly noticeable when looking at the screenshots, the trailers and all other available information is that a lot has changed for Max too. 8 years have passed in his life and we find his stock grimace etched even further into his profile – he’s put on some weight too and appears to be just a few more painkillers away from completely hitting rock bottom. In Max Payne 3, we feel all of this pain but also realise that amongst getting older and the hardship, Max is more brutal than ever before – and these two sides to the story, the pain of our protagonist and the pain he can inflict on others, is largely thanks to the staggering innovations that have been made by Rockstar in terms of gameplay and the animations of both Max and the scores of AI controlled enemies that you will meet around each corner. Building upon the combination of NaturalMotion’s Euphoria technology and the Rockstar Advanced Game Engine, which worked so well in Grand Theft Auto IV and Red Dead Redemption, and utilising the extra scope afforded with a much more linear third-person shooter instead of an expansive sandbox title, Rockstar have tweaked every last animation so that each punch, kick and bullet can be felt with full effect from the screen and through your controller. Since the previous iteration of Max Payne, games like the Uncharted series have set the mark for third-person shooters on our current generation of consoles, however still tend to fall flat when it comes to animations and actually capturing how our surroundings and whatever comes our way can affect us in real life. Jump or roll Uncharted’s Nathan Drake forward into a brick wall and he will simply complete the motion against it, absolutely unaffected by the environment - and then follow that up by shooting an advancing enemy in the torso and he will spring back to life repeatedly as if he is absorbing each bullet like a sponge. After just a few minutes battling your way through Max Payne 3’s São Paulo city streets and buildings, you’ll see and feel that this isn’t the case, because performing Max’s signature sideways Bullet Time jump into a wall will instead see his body crumpling agonisingly against it as it should, taking him longer to recover to his feet once he has hit the floor – and then shooting an enemy in the torso, leg, arm or shoulder will see them react accordingly – like a bullet has hit them instead of a piece of plastic (and don’t think for a second that this might make the game easier, because the same will happen to you). 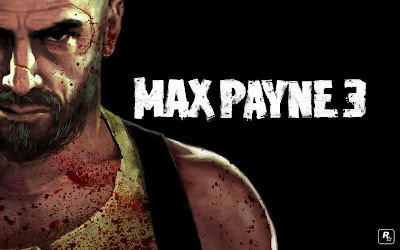 Max Payne hasn’t been around for years, but we find him doing exactly what he did back on the last generation of consoles – redefining the genre once again – and that isn’t even mentioning the story, soundtrack or ability to wield two completely different weapons at once. Welcome back, Max. Written by Richard Paul on behalf of Hitari, the place to buy Max Payne 3 PS3, Xbox 360 or for when it is released on PC.